2. Click on the tab "WooCommerce", then on "Settings". A new tab entitled "SendCloud" has appeared at the top-right. Click on it, and click on "Connect with SendCloud". Well done! 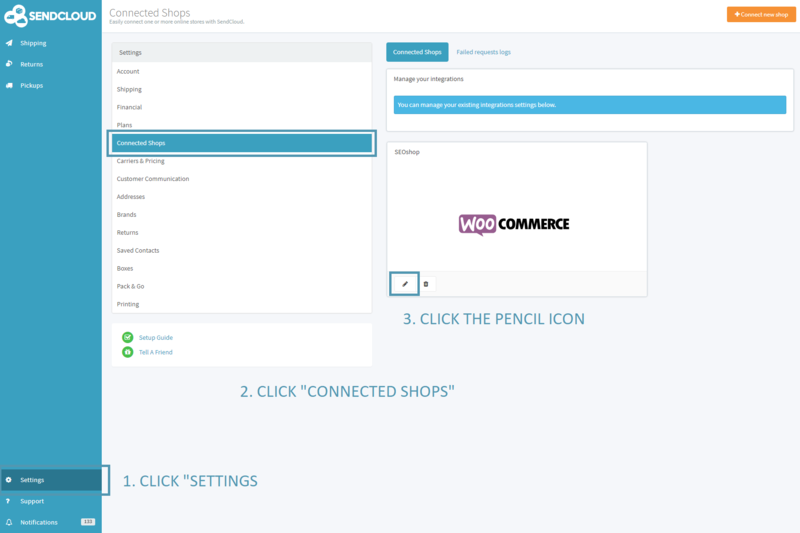 Your WooCommerce shop is now connected with SendCloud. You should see all your orders being imported from now on. To be able to use SendCloud, it is important to have shipping zones and shipping methods configured (or to create them if you do not have them yet). To create/set up your shipment methods, go to "WooCommerce" and then to "Settings". On this screen you will need to create of double check the shipping zones (and relevant shipping methods) for your webshop. Shipping zones allow you to differentiate between, for example, domestic shipments and international shipments, allowing you to apply a different pricing policy per zone. Shipping methods allow a customer to choose between different shipping options. Please note: the shipping zones and shipping methods will determine the customer facing options and pricing. These do not influence the pricing or shipping methods on the SendCloud platform. In the event of a "Fixed rate/Package" method, you will see the form below. You can set a delivery fee, which will be charged to your customer. Offer a weight-based price is not possible by default on WooCommerce: You will need to install an additional plug-in from the "Plug-in/Extensions" tab (Table Rate, Flexible Shipping or Weight-based Shipping for instance). You also have the possibility to set a fee for a "delivery class" (for instance light products or heavy products). You previously need to have the related delivery classes created in the tab WooCommerce > Settings > Shipping > Delivery Class. You can then set the price in the last field below. 2. 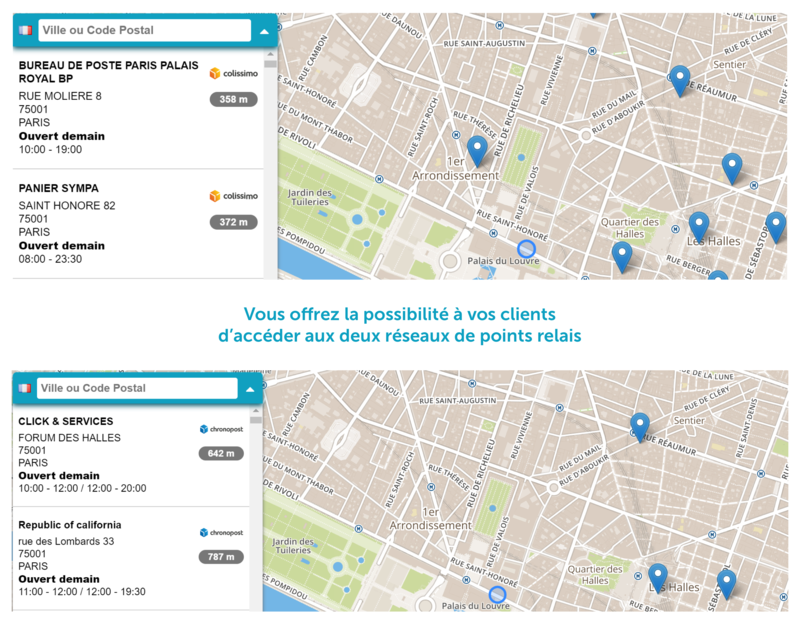 Tick the box "Service Point", and the carrier for which you want to activate this delivery option (for instance, a standard and an express delivery option). 3. 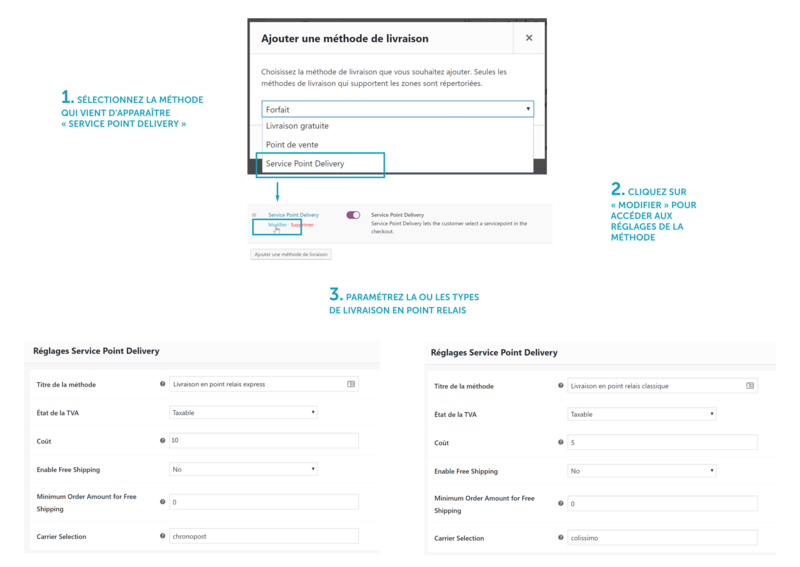 Let's go back to your WooCommerce back-end and click on "WooCommerce", "Settings", "Shipping" and on "Add a shipping method". 4. A new type of shipping method entitled "Service Point Delivery" has appeared. Add this method and click on "Edit". You can then enter the desired method title and the associated price. 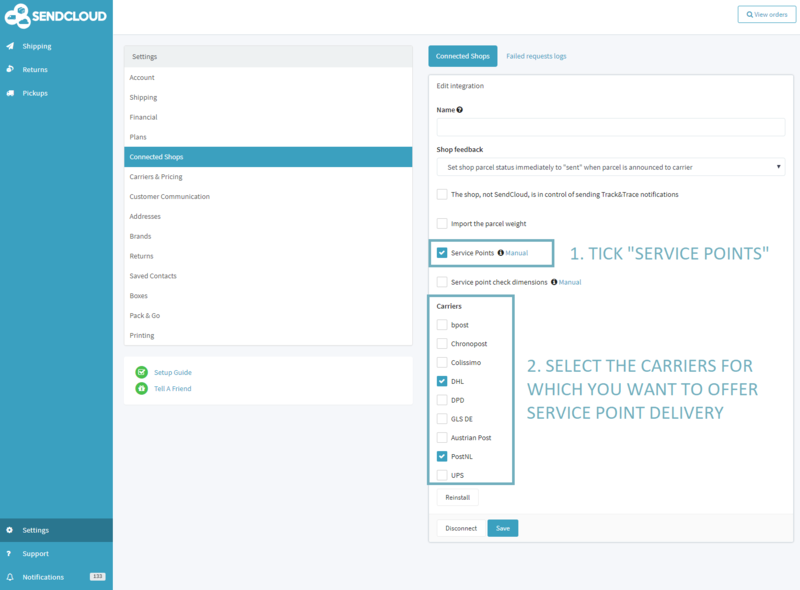 Herebelow we added first "Express Service Point Delivery" by writing the name of the carrier (chronopost) in the field "Carrier Selection", then on "Standard Service Point Delivery" by writing the name of the carrier (colissimo) in the field "Carrier Selection". Congratulations, your service point delivery settings are now correct. Offering several delivery options is always better than offering only one, and it also increases your webshop conversion rate. Your online shop is now correctly set! Wishing you a lot of shipments!